4 hour recorded event and activation! 3-4 Hour Light Code Activation Event Through Presence, Participation, Openness to Receive on a Multi-Dimensional Level and Activate What All Already Hold…. Ready to awaken more. Each one of our, our DNA is encoded and holds access to all dimensions, “times”, existences, realities… ready for us to activate on a SOUL/Higher Self Level now. These codes are activated by way of many things. All vibrational, non-linear. What is occurring on our Earth all of these years, and increasing acceleration constantly now, is a Grand Awakening, a Mass Awakening within each… to become their own Higher Selves, Multi-Dimensional Selves, here in this physical. This is an immense process of transitioning out of the “old” and into our NEW. NEW Earth, an existence not accessible by our human ego aspect. Our hearts must open fully for NEW Earth to come to BE, for us to BEcome NEW Earth/Earthers… we awaken inside to REMEMBER all that we forgot upon our own birthing into form/incarnation/walking in here. Now, awakening is accelerating… first for the forerunners here to “lead the way”, then in waves, that continue to ripple out into mass consciousness, as it is each’s “time”, as encoded in each’s own DNA. We are here to provide the Light Encoded Knowledge that activates your own higher consciousness knowing inside and shine a light on your path, activating the higher dimensional codes that you hold for a much easier experience here. This knowledge is through teachings, comprised of words, energy, tones, frequencies and transmissions that elevate your own consciousness, relax your own gridwork, put your human aspect to sleep to assist with exponential expansion… which is Quantum, non-linear…. We provide the words for you to understand and utilize various navigational and Mastery tools to assist you with enhancing and accelerating your own multi-dimensional journey here. Ascension is just one part of the process. Multi-dimensionality is a whole new existence; a vibrant, brilliant, magical and exquisite one… where you anchor your own highest dimensional realities into this physical THROUGH YOU… and BEcome your own Higher Selves (yes there are infinite ones), walking in dimensions not visible or attainable by the human aspect, other than through the dream and “wishing” states…..
Our NEW Earth existence is birthed by each one of us. Literally, with our bodies… through the integration of immense Photonic Quantum Light, comprised of Sacred Geometrics, Light Codes that re-sequence your DNA, genetics/genome, cellular/molecular structures… clearing out those akashic karmic realites that influence your human realities here. Currently, our BELOVED Gaia has integrated up to a 12D template, which pushes/dissolves the 3D/4D templates to increasingly dismantle, deconstruct and dissolve “faster” than ever before. Linearity increases confusion, chaos and old control mechanisms are a part of those obsolete templates, which were held in place by each’s own body template that linked up to those frequency bandwidths of unconsciousness before. Those realms were the “fallen”, anchored and held in place by fear, survival and lack. Those realms were deep beneath the Veils of Amnesia… which now dissolve and like a “bad dream”, in order to “wake up”, each becomes foggy groggy, sleeps a whole lot to activate what appears to be a lucid dream… that arrives in the physical as each Physically Ascends…. To “arrive” in more colorful, vibrant and magnificent realities… not previously visible, because each’s heart and mind was closed before. All of those emotions, all of those stories, all of those programs have to clear the physical body. This entire process is a PURIFICATION PROCESS…where each’s body must raise its vibration high enough for each’s SOUL to fully merge inside and walk/live on/in Heaven fully here. Used to be heaven and hell were “mythical/mystical things”. The 2012 Gateway opening changed all of this. Now each lives in their own Universe, their own reality in the primary dimension occupied by their physical body and consciousness…. The physical “divided” into multiple dimensions, if you will, as all compressed/collapsed into “one space”…. Then it became up to each to choose which dimension they want to live in fully…. Some “left” and went to live in the 5th Dimensional version of NEW Earth, while others continued in the 4th and 5th. Many once achieving the 5th Dimension, the Wayshowers, Gatekeepers, Gridkeepers and Frequency Holders… continued to anchor much higher dimensional realities here, becoming the anchor points, each holding NEW EARTH in place…. Which created a “network”/networking System of Light Keepers all connected with our Gaia and Galactically to Unify all of these existences into ONE here. These StarBEings and LightBeings, they are US. All of us. How we UNITE is by each one of us embracing our much higher dimensional existences and coming together as PURE SOURCE CREATORS EMBODIED…. Affecting “reality” through our own Codes that we transmit out for all as LOVE here. This program is to awaken your own highest everything here. To open you up to all of the possibilities and to assist you with embracing multi-dimensionality on a level that catapults/catalyzes you into fulfilling your highest roles/purposes/missions here. Just through your presence, you will automatically be activated to receive. How “fast” you integrate and put into play (apply) the knowledge is up to you. We provide you with that which awakens and accelerates your own processes here. Knowledge is your FREEDOM from the old…. How you use it will determine your own experiences here. NEW Earth or Old… your experiences will reflect this back. Dimensions use to be a “concept”. That all changed. Now it’s your everyday life, your own experiences and the physical reality you believe and hold from within you. Your own Light Codes are activated through Photonic Light, frequencies, vibrations, sound, energy… which Cosmic Codes now flood our earth/systems with… to evolve all as Light. Your NEW Earth realities and experiences are nothing like your old earth ones were…. Yet the one thing we all do have to do is CHOOSE… otherwise we hold resistance that creates the “suffering” that the ego aspect endures until all of that energy is gone…. Which is how the cellular body breaks down. Physical Body Ascension with your Merkaba changed all of that…. NEW Earth is where you arrive (it’s call dematerialization and re-materialization), which only your higher self can see occurring. Your human aspect cannot. Come join us to awaken your higher knowledge, your deep inner knowing, your own Crystalline LightBody more. Come activate your own much higher consciousness within you for living your NEW EARTH REALITIES too. Come embrace your own SOUL/Light BEing Self with a family of Soul-Star-Light BEings here to BE NEW EARTH too. Come join us to accelerate with greater ease… as our NEW EXISTENCE is simple… only each’s ego complicates this…. This activation event is to assist with expansion into your next phase of your own Quantum Evolutionary Embodiment Journey here. 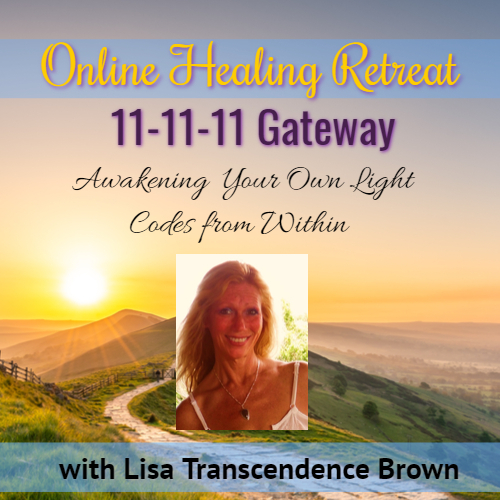 This 11•11•11 Gateway is the most powerful Gateway we’ve entered into this year. It will set forth a “chain of events” that will carry us forth through the December Solstice Gateway and anchoring/integration completion phase into the 1/1 Gateway of 2019 and the 1•11 Gateway Completion phase after that.